All you have to do is cook some Pears and Figs in the oven lightly, you can also drizzle some honey over the top if you’d like the fruit to be even sweeter, or even better stuff the Figs with Stilton so it melts within the figs. 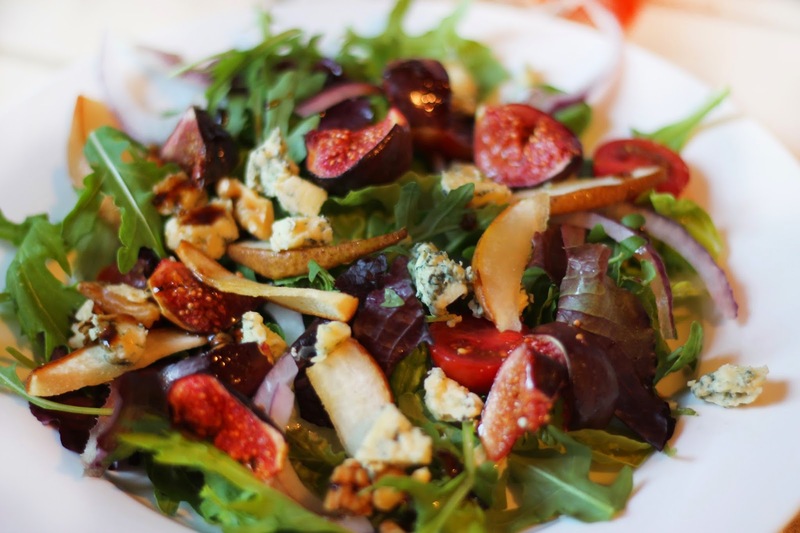 Then you basically just place the fruit on the salad leaves of your choice, add in some stilton, add some red onions, some walnuts, drizzle with a bit of balsamic vinegar and voila! If you are very protein diet based then you can easily just add some chicken, and then bam, a simple, scrummy light warm salad for a snack, lunch or even a dinner. Please, let me know what your favourite salad is? (or chocolate, I like that too). Oh my gosh that looks delicious! Makes me so hungry! I love salads too, but I don't like fruit on there. I always have to have olives on – it's a must. I've been enjoying adding salami to mine lately! 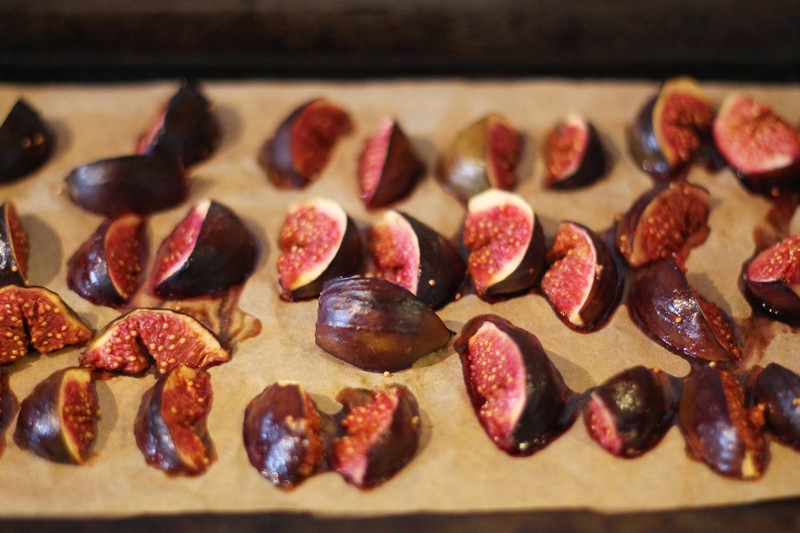 Never tried figs in a salad, I always thought they would be a bit too sweet. Wonder how they would taste with balsamic vinagrette and spinach in a salad? I would definitely recommend it! So delicious! They are quite sweet, but they work perfectly! It was so yummy!